The 5200 Entry SATA solid-state drives (SSDs) use Micron 64-layer 3D NAND flash memory technology with a SATA 6Gbps interface and provide an affordable solution for read-intensive applications such as boot, web servers, lower data rate operational databases and analytics. Features: 64-layer cell structure, S.M.A.R.T. 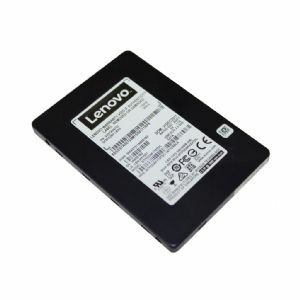 Designed For: Lenovo ThinkAgile VX 2U Certified Node (2.5") � Lenovo ThinkSystem SD530 (2.5") � Lenovo ThinkSystem SN550 (2.5") � Lenovo ThinkSystem SN850 (2.5") � Lenovo ThinkSystem SR530 (2.5") � Lenovo ThinkSystem SR550 (2.5") � Lenovo ThinkSystem SR570 (2.5") � Lenovo ThinkSystem SR590 (2.5") � Lenovo ThinkSystem SR630 (2.5") � Lenovo ThinkSystem SR650 (2.5"